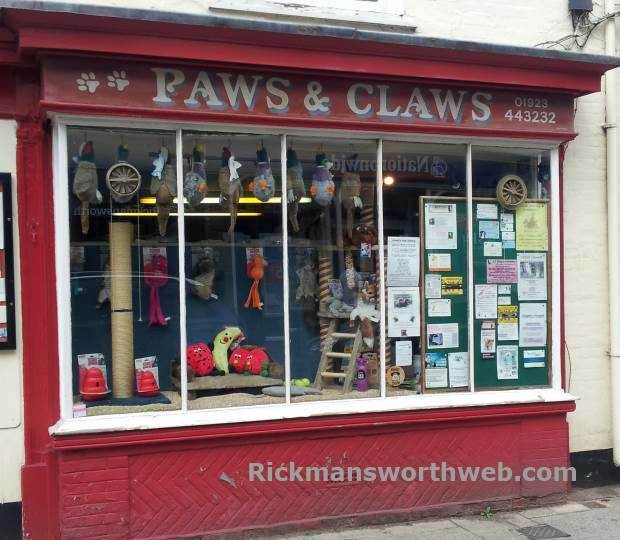 Paws & Claws is a pet supply shop in Rickmansworth. Here you can purchase various accessories for your pets, such as leads, toys and feeding bowls. The shop window is updated often which gives pedestrians the chance to see the latest stock. The shop window also features a notice board where customers can advertise pets for sale, pets looking for a home and second hand accessories. Paws & Claws cater for a wide range of pets and staff are very friendly and extremely knowledgeable which is helpful if you are unsure and need advice.